Of course the price is great. You simply can’t beat free. Many people think, “you get what you pay for“, but that’s not entirely true. For instance, even most Windows users will say that Mozilla Firefox or Google Chrome are the best browsers out there. How much do you pay for those? That right, they’re free. Although these are free, that doesn’t mean there aren’t some really good developers behind the software. One of my favorite features of Ubuntu is its software management. This is especially true when it comes to updates. In Windows, it could turn into an all-day job just to update the operating system, and then all the software you have installed because you have to go to Windows Updates and the websites for all of your installed software. Some programs might have an update system built into the software, but I still say it’s not as nice as updating everything in a single place at a single time. All of the software is available for install from the same place as well. When you decide you need a new program for keeping track of your bank account, it’s just a case of opening your favorite package manager and installing it from there. Since Linux is open source, there are a ton of choices and options. This can be daunting to some people who like simple. It can be very simple. It’s even a choice to have choices. You can go to Ubuntu’s website, download the latest release, install it, and enjoy the operating system with its default set of software. However, you can also dig deeper and change nearly everything. Whether it’s the desktop environment, email client, look and feel of everything, or nearly anything else you want, the options are there. Unlike Windows, you can even change the default file manager. If you don’t like Windows Explorer, you can’t exactly ditch it and use a different file manager. In Linux, you can use the default file manager if you like, which Nautilus is a great file manager in itself, or you can install something else (like Marlin) and set it as default. Simple as that. It’s nice to be able to customize something when you don’t like the defaults. You can change nearly any aspect of the operating system, as I mentioned. This can be done through themes, color schemes, widgets, change of software, or pretty much any other way. In an earlier article, I told you how to move the navigation buttons to the left of the address bar in Nautilus 3+. Most customizations aren’t that involved, but due to the young nature of the latest versions of Gnome and Nautilus, some options aren’t supported yet. Overall, if something isn’t to your liking, it’s usually easy enough to change it to what you want. People may think different things when the word “support” is mentioned. Some people will think, “I need help, where do I go?“, while others will think, “Does my 3G modem work with it?“. Both are valid concepts of support, and both are really good in Linux. It’s easy to get help with Linux. If you have a problem, there are many forums and chat rooms you can use to get help. Ubuntu Forums is possibly the best place to get help with anything related to Ubuntu, its derivatives, and its software. If a more general forum would be better suited for you, LinuxQuestions.org is the place to go. When it comes to hardware support, that can be a tricky subject to tackle from either the user’s aspect, or the developer’s. Some hardware is supported by Linux, while some hardware manufacturers support Linux. Things that aren’t supported in either direction are usually being handled the best they can in some way or another. The Linux community is big, and I mean really big. That means that if there’s a piece of hardware out there, it’s bound to be in the hands of a Linux user or developer. If it’s not already supported in some way, it’s probably being worked on by someone in the world. Even if something is already supported, there’s probably someone working on making it easier to work with, no matter how well it already works. The goal is to make everything work, and make it as easy as possible to do. That seems like a very noble goal, especially when it’s such a big task with some hardware. This actually goes in with support, but it’s done well enough to be mentioned separately. There are many ways to file a bug report. Ubuntu even has bug reporting built into the operating system. When you find something wrong with the software and you file a bug report, it will be verified and assigned to a developer to be fixed in the next release of the software. If it’s big enough, it could even justify a bug fix release on its own. At the same time, there’s also feature suggestions. Most open source software has a way to make suggestions for improving the software. Nobody knows a user’s needs and desires like a user, so if you find something missing from your software choice, make a suggestion. This is one of the best ways for developers to know what they need to add to their software, and in most cases, they like to get that feedback. As I mentioned before, the Linux community is really big. It’s not hard to go into the Ubuntu IRC chat room and find over 1000 users online. These people are there to get or give help, or just to talk about Ubuntu-related stuff. There are even Linux User Groups (LUGs) all over the world. There’s a good chance you can find one near you, or you can even organize a group of your own. With how the Internet works, it’s easy to create an online community for your area, organize meetings, create forums, chat rooms, host install parties, and much more. 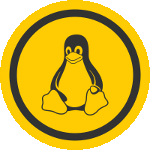 If you have a verified group, you can even get free or discounted stuff from different places to help promote Linux and open source software. There are also many blogs out there, like Make Tech Easier, that post articles to help you along the way. Most of the time, if you can’t figure out how to do something, you can usually find the answer on a blog of some sort listed in Google’s search results. In the spirit of open source, users will often volunteer their time and knowledge to be shared with others. There are a lot of things to like about Linux. It’s not just Ubuntu, but most distributions offer a lot of things to like. There are a lot of people that are passionate about open source software, and the developers volunteer their time to make it all better. In the end, it all boils down to the community that surrounds Linux. If it wasn’t for the community, Linux wouldn’t be as good as it is. You can expect Linux to get even better as the community grows over time.